Blog Top 10 Best Soundproof Curtains on the Market Today! Top 10 Best Soundproof Curtains on the Market Today! Do you live in a busy metropolitan area? Or maybe somewhere you can hear highway traffic or barking dogs during the run of a day? If that’s the case, then this article is for you. Here are our top ten best soundproof curtains you can buy today! What are the Best Soundproof Curtains? The best soundproof curtains are the NICETOWN Full Shading Curtains. Out of the Top ten on our list, the NICETOWN came in the first place because of its soundproofing capabilities due to its substantial thickness and its weight at 7.39 pounds. I used to live in an area where our neighbors had a loud barking dog that would drive us crazy. They also had a four-wheeler that would drive around their house over and over again. It was our first house and a little bit in the boonies. Needless to say, we bought our very first set of soundproof curtains. The first set of soundproofing curtains we purchased were from Nicetown. I would be lying if I told you the exact curtains from that company they were because I don’t remember. They stayed in the house after we sold and moved away. Not only did I notice that my new soundproof curtains were excellent at blocking noise from outside but they were also great at absorbing the echo inside the room. They act like a huge sound absorber panel. Some people actually do buy soundproof curtains or even moving blankets when building a recording studio to muffle out all the echoes. 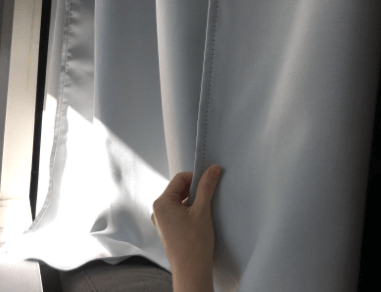 The third positive about these thick curtains is that they also help keep the energy bills low because they block up to 90% of the sun and leaves the heat outside. They also leave the cold outdoors in the winter and keeps your home warm and cozy. Another good asset when blocking the sun is that they also protect your furniture and wood floors from prematurely fading by blocking not only the sun but also the harmful UV rays. Soundproofing Curtains Example of What They Can Do! One of the first thing to always make sure before purchasing a set of sound-absorbing curtains is to make sure you buy the right size curtains. 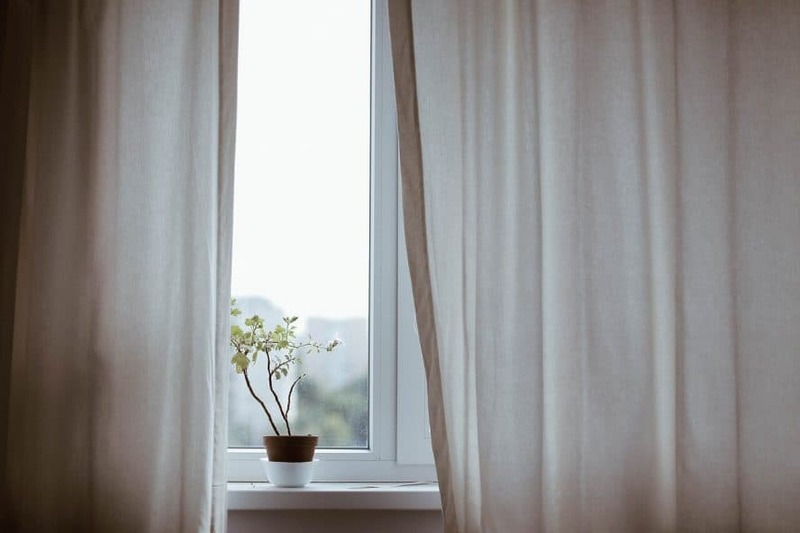 Measure your window or door and look up the dimensions of the curtains to make sure they will not only fit but will also extend at least six inches on each side, the top and bottom. Having a soundproof curtain that is a bit larger than the glass you’re hoping to soundproof is important because you do not want any noise to be leaking in from the sides. One suggestion that I always give when someone is looking at installing soundproof drapes is to have them go down all the way to the floor. Usually, you see this type of style in curtains made of velvet. When they sit on the floor, it will leave less room for noise to leach out. Sometimes people would even go from floor to ceiling, but this is only practical over a larger window. You want the curtains to help reduce noise in a room, but at the same time, you also want them to look good. They might not look that great if you go floor to ceiling over a tiny window. You just need to find that balance. Another critical factor in finding the best soundproofing curtains is their mass. Let’s face it, the heavier they are, the better they will be in noise reduction, its simple physics. Of course, The weight of the curtains are not the only factor to put importance in, but it is a factor none the less. You will find in our top 10 list that they all have different weights. Another thing you will notice is that my number one pick is the ones that are the heaviest, and by a fair amount compared to its competition. You will notice how much heavier sound-absorbing curtains are versus traditional curtains when you’re in the process of installing them. Be careful if you’re going to be using a ladder and ask for help if there is some available. Also, it’s critical that the soundproof curtains have multiple layers, some on our list has three layers (lining). The different liners would include window liners, curtain liners, and the popular blackout liner. All of these layers makes it much more challenging for noise to come into your home. Selecting the Right Material for the Best Noise Reduction. Your best bet in finding the right type of noise absorbing curtains is to look for something made from suede or velvet. These types of material will most likely have extra fibers which will help in noise reduction. Another way to look for material with extra fibers are curtains that are labeled as thermal weave and thermal layer. What’s great with thermal layered and thermal weaved curtains is that it not only help in absorbing sound but they also lower your energy cost. They will eventually pay for themselves because they are more capable of keeping your home warm by not letting heat escape your home during the cold winter months. They will also help keep your home cool in the summer months by effectively blocking out the sun from glaring inside the house. By keeping the sunrays from coming inside on a bright day, you will also keep the UV rays off your floors and furniture. Keeping the sunlight off wood will keep your furniture and flooring from prematurely fading. Keeping the sun and sound from entering the home can also dramatically increase or decrease depending on the color of the soundproof drapes. The darker the color, the more efficient they will be in blocking noise and sun. If you decide to go with white curtains they won’t be as good regarding noise reduction; they certainly will not blackout a room. One final tip regarding the curtains material is that you should look for information where it says “easy to wash.” You will want your curtains to be durable enough to be machine washable. What’s the point of paying extra for sound absorbing curtains when you have to bring them to a dry cleaner and spend even more money. When they are labeled as machine washable, they tend to more durable for the long term and will have fewer chances of fraying. When talking about hardware, I’m referring to the curtain rods, the hooks holding the rod and the grommets. Let’s begin with the curtain rod. You are going to want a heavy and strong curtain rod so you’re sure it can withstand the extra weight of soundproof curtains. Factor in the hooks that will be holding the rod because now the hooks will have to hold onto them a lot of extra weight; so make sure you buy the right hardware. You can also opt for double rods. Using double rods will allow you to have two sets of soundproof curtains simultaneously. Doubling the curtains will certainly have a much greater noise reduction capabilities. Another important piece of hardware to consider when choosing sound deadening curtains are the grommets. Having string steel grommets attached to the soundproof curtains will make it much easier to slide the curtain rod into place and will also be stronger in holding the added weight. Most types of Curtains at this price point will likely have steel grommets, Especially if they are heavy curtains. Take a quick glance at the specifications to make sure everything checks out. Ceiling mount brackets are also something to look into if you’re installing floor to ceiling curtains. If you want your sound deadening curtains to hang directly from the ceiling, you will want to make sure to look for ceiling hooks that can accommodate the extra weight. Here is our top 10 list of best sound-absorbing curtains that you can buy today. All the links will be included in the article. 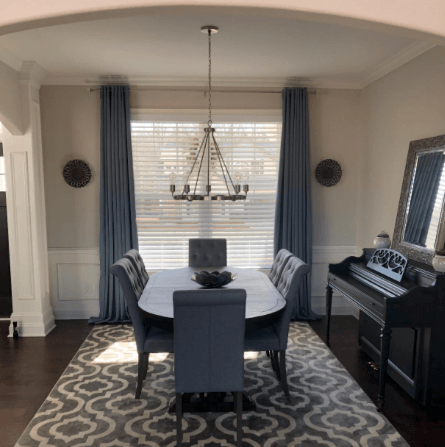 When it comes to soundproof curtains, no one seems to do things quite the same way as NICETOWN, who offers curtains in a wide range of designs and prices. One of their greatest and most pricey, collection of soundproof curtains are their Full-shading design. Coming in tones of white, black, and gray as well as different sizes, and they block out nearly 100% of all outside light. But you’ve come here for the soundproofing abilities of these curtains and not necessarily how much light they can block, correct? Well, you will be glad to know that these curtains can do that just as well as they prevent light from coming inside your home, with outside noise muted almost to the point of it being mute. This is because of the design of the curtains, which enables them to drape evenly around most windows and absorb the noise. As said before, this is one of the more costly curtains that you can buy from NICETOWN, with a price tag around the 50 dollar mark, so you will want to make sure that these curtains can fit within your budget before you buy them. Notwithstanding the price, the material also seems susceptive to damage, with some users insisting that they get stained and ripped easily. While this is not good, the positives of these curtains from NICETOWN far exceed the negatives and make this a purchase worth it. No curtain out there gives you quite as much light and sound blocking capabilities as the NICETOWN Full-shading curtains, making your home as calm as you could want it. 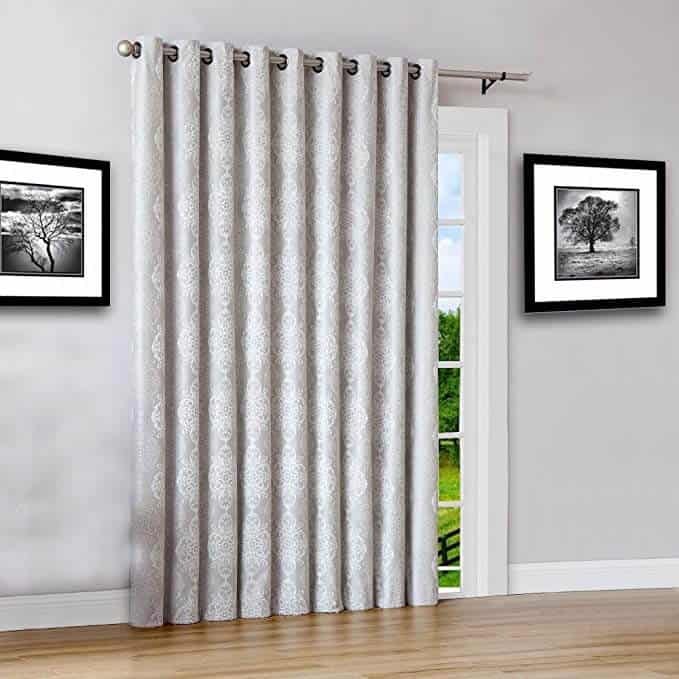 Click here for current Price of the Nicetown full-shading curtains (Amazon). The H.versailtex Premier curtains are heavy duty and quite durable. They are made especially for larger windows and patio doors. With a size of 100×108, these large curtains are intended to cover as glass surface as possible to keep light, heat, and especially noise from coming inside your house. H.Versailtex blackout curtains are more of a “room darkening” curtain that a “blackout” curtain. But that is what I would want anyway. I do not want to feel like I am stuck in an isolation tank within my own home at three in the afternoon. Notwithstanding their substantial size, these curtains are straightforward to install. While the extra weight could be a bit of a challenge to lift by yourself, the well-designed and robust steel grommet rings will effortlessly glide the curtain rod into place. Sure, they might be a little more pricey when you begin to compare them with some of the other sound-absorbing curtains, but in the end, you get what you pay for, and you should not be disappointed. The H. Versailtex Premium Blackout Curtains are a sturdy and heavy curtain that is sure to draw warmth and charm to any home! They are currently rated very high on Amazon with people boasting about the quality of the material, noise reduction and also how good they are concerning temperature control. Click the link for more information and pricing of the H.versailtex from Amazon. H.VERSAILTEX Room Darkening Thermal Insulated Curtains. Here is yet another excellent option from H.Versailtex with their Classic heavyweight noise reduction curtains. These curtains offer a more classic look (hence the name) with the little plaid textured material. They look flat from afar but looking closer you will see the beautiful texture throughout the drapes. The H.Versailtex classic curtains are very easy to care for because they are machine washable and use only non-chlorine bleach when needed, tumble dry low and warm iron as needed also. What’s great regarding these sound absorbing curtains is that you have an 8-year warranty. That alone should give you peace of mind in the sense that some people are hesitant to wash drapes in the washing machine because of the risk of damage. At least if you notice these curtains becoming frayed, then you can simply return them for a new set. At 52×108 inches in size, they are a good size to cover large surfaces of glass and will provide good noise reduction. They will also provide you with an 85% light reduction from coming inside your home, protecting your furniture and lowering your energy cost at the same time. Click the link for more information and pricing on the H. Versailtex Classic Curtains (Amazon). The Deconovo Blackout Drape claims to be able to block 100% of sunlight. Nothing 100% but this is as close as it gets to complete darkness. They claim 40% of noise reduction, and that is reasonably accurate. If you install a good set of blinds with these curtains, you’ll definitely have won the battle on outside noise. These noise reduction curtains are a bit different from the other ones on this list because the Deconovo Blackout Drapes only has one drape per pack. Don’t worry that does not mean that you will have to pay for a second set because you will just need one of these noise-reducing curtains. The Deconovo drapes are quite big coming at 100X95 inches in size. At this size, they will be doing what a duel panel curtain set would accomplish. What makes having only one curtain instead of two is that there is no separation in the center where light and noise could come through. One thing to note about lighting is color. Deconovo Drapes comes in many colors so the darker the curtain, the darker the room will be during the daytime. They do have beautiful colors, alongside the typical black, grey and white they have an array of colors that span from rich blues to bright orange. So they are certainly a great choice for someone looking for a more funky decor with these sound absorbing curtains. Another critical thing to mention about these soundproof curtains is their thermal protection capabilities. If you read just some of the Amazon reviews, you will quickly realize how serious I am when I tell you that they are wonderful for keeping the heat inside your home and keeping the cold outside. 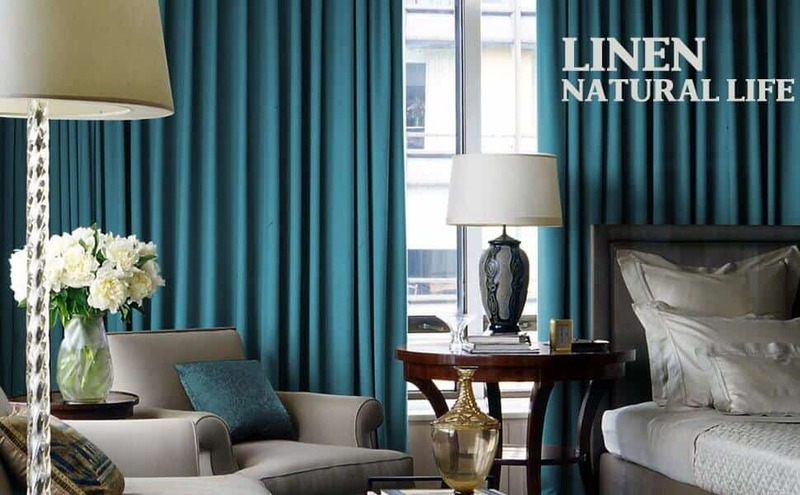 The majority of people buying these curtains are very pleased with the eco-friendliness they are by saving them some money on their power bill and leaving their house warm and comfortable. Click here for the current price of the Doconovo’s from Amazon. Sideli Soundproof Curtains / Photo Alibaba. Next up on our list of best soundproof curtains are the Sideli Solid Velvet Curtains. I personally have never tried these curtains but I’ve done enough research on a few message boards on Reddit and by reading the Amazon reviews feel confident enough to add these on this list. These sound absorbing curtains have a lot going for them because they indeed give you enough options to suit almost anyone. The curtains come in various size, colors, and style, especially when you compare them with other soundproofing blanket manufacturers that would only have a white and black option. At least these curtains will satisfy people that would want a more specific style and color to match their decor. Something the Sideli curtains has that most others do not is that they are made of velvet. Velvet is one of the best material when you want a soundproofing element. The reason for this is because the velvet in these drapes has many fiber layers. Of course, the more layers you have, the more noise will be kept on the other side of the curtains. 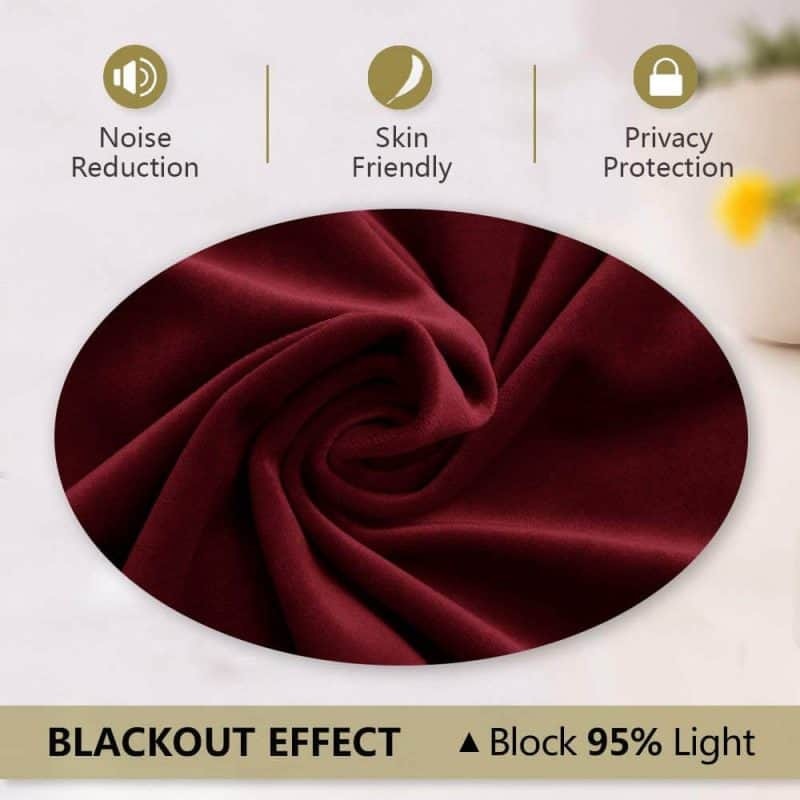 The numbers of velvet layers will also block up to 90% of light, but as I’ve mentioned multiple times, you will get different results if you buy the white versus the dark red curtains. The darker they are, well you know the rest by now. There is only one issue that a few people did mention on the Reddit boards is that they found them to be medium weight. 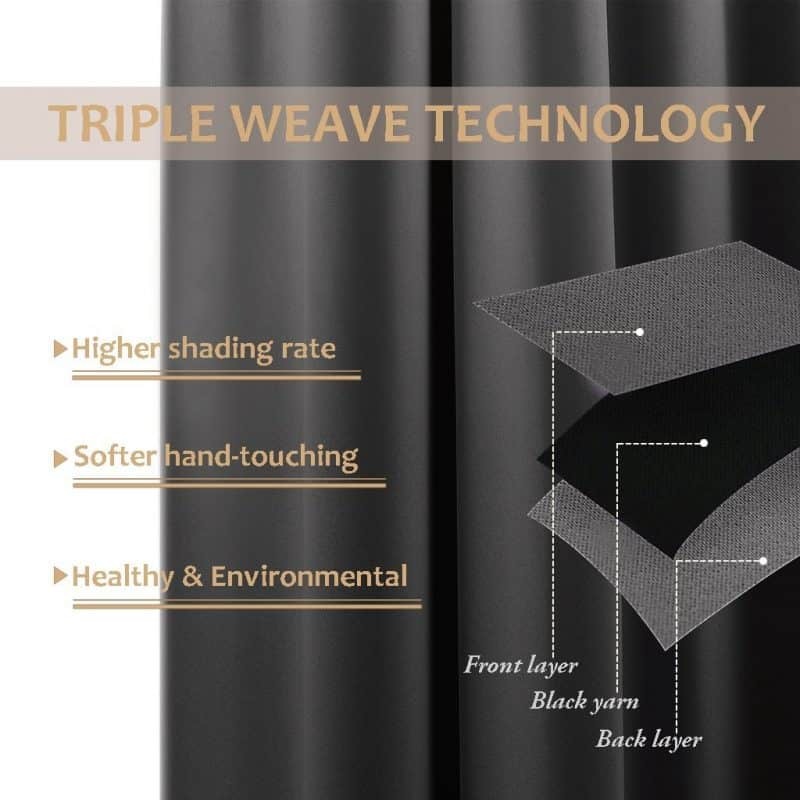 So if your primary reason for buying these soundproof curtains is to help soundproof your home, then you should probably ignore these drapes altogether. There are heavier curtains on this list that will be better in the noise reduction department. If you are however looking for a set of curtains that is more of a “jack of all trades,” then these are for you because they are good in all aspects, just not perfect. The reviews on Amazon are very good with mostly five-star ratings. People boast about the quality and the texture and how soft the velvet feels. Some reviewers do mention the fact that they found it difficult to get rid of the wrinkles. They are dry clean recommended because of the softer material, but you would be fine washing them home but make sure that you have ALL your settings on delicate. Some tried a portable steamer which worked for some to an extent. Either way, the wrinkles will disappear, so it should not be too much of a worry. Click here for current price on the Sedeli Solid Velvet Curtains from Amazon. Another set of noise blocking curtains from Nicetown. You shouldn’t be surprised really because you will most likely find at least one set of curtains from Nicetown if you’re looking for the best soundproofing curtains. The type of material these curtains are made from does an excellent job in blocking light, noise and heat (or cold if you’re north and it’s winter). These Nicetown are made from a heavy microfiber that is interwoven by top fabric layer, high-density black yarn, and a back fabric layer making a high-quality triple weave. Like most of the other soundproofing curtains on this list, they will most likely pay for themselves eventually; since they are energy efficient through balancing room temperature by leaving the winter chills and the summer heat outdoors where it belongs! What some people never think about when buying curtains are the UV rays and how the sunlight could damage their furniture over time. These noise reduction curtains will do the trick in protecting your furniture. The blackout effect will keep out at least 90% of the light, and if you opt for a darker curtain, you will see an even higher percentage of darkness. I was also surprised by how much light the white drapes was blocking during peak daylight. Check out the pictures below showing you how the white and the black performs at preventing the sunlight from coming into the home. These curtains are very easy to maintain because they do not need any special care when washing them or whatever. You can simply throw them in the washing machine and done. Click the link for the current Amazon price on the Nicetown Three Pass Sound Absorbing Curtains. I thought it would be a good idea to add a second set of velvet sound-absorbing curtains to this list. The one that I chose was Nicetown Red Velvet Curtains. You can buy these curtains in other colors than red; you will see if you follow the link below. I’ve never personally tried these curtains but I know someone that has them in their home, and I asked them if they are doing a good job at soundproofing. They did not buy them for the noise reduction attributes so I asked if they could give it a try to see if there was a significant difference regarding noise coming from outside after the curtains were closed. After a few days, I heard back from them, and they said that it doesn’t block the noise entirely but what it does is it muffles the noise of the cars passing in front of the house. That is actually what they are supposed to do, I wasn’t expecting them to mute the outdoors but at least help in soundproofing a room. These curtains would work perfectly in conjunction with a good set of thick blinds. The velvet makes the curtains look good as they flow directly on the floor leaving no gaps on the bottom. 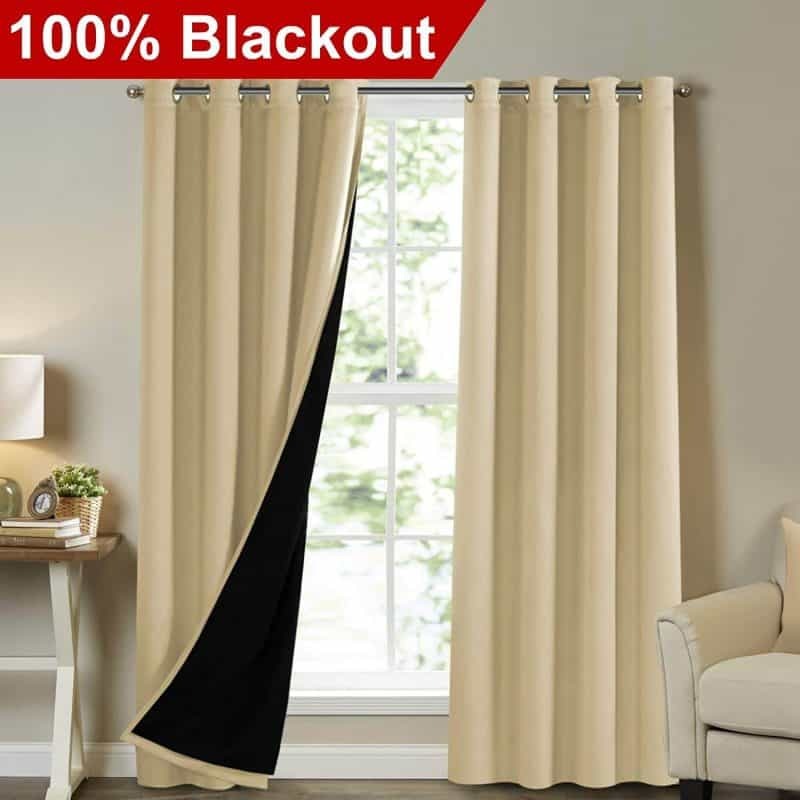 They advertise them as a blackout curtain, but they are not what I would consider as “blackout.” You could get some curtains that do a better job in that department. They will, however, work very well in temperature control of the room and help to keep your energy bills lower than perhaps other types of curtains. I would not hesitate to recommend these soundproofing curtains by just reading the reviews on Amazon because you really have to dig deep to find a negative review. 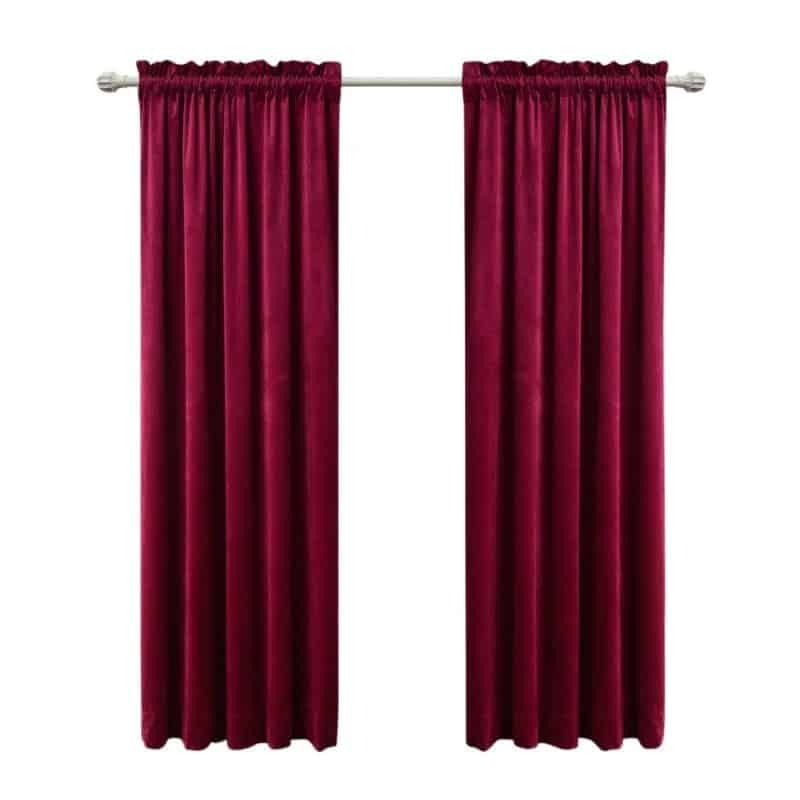 Click here for current Amazon Pricing for these Nietown Velvet Curtains. A common misconception regarding soundproof curtains is that they are usually more costly than conventional curtains. While this is absolutely true in some circumstances there exist quite a few sets of curtains that do not hold true to this rule, Just like the NICETOWN Blackout Curtain Panels. The Nicetown Blackout Curtains does it all at this affordable price, cancel outside noise, cover the room in darkness and great for temperature control. They come in a large variety of color but as you already know, if your primary reason for buying curtains is to help block out noise then you will have to go with a darker color. The drapes are machine washable and easy to take care of and will also do a good job of protecting your furniture and wood flooring from sun damage. At around thirty bucks, where could you go wrong? Click here for complete information and pricing from Amazon. The Warm Home Designs Thermal Blackout Curtains are much less popular than brands such as Nicetown, but that doesn’t mean that they are bad curtains, quite the contrary. These curtains pack a lot of quality at a small price but there’s a catch, they only come with one single panel per package. So there is your compromise, instead of paying over forty dollars for a set of noise reduction curtains you can spend half that and get just one panel. That is not a bad thing if you only have a small window that you want to soundproof because you get high quality but in a smaller package. These curtains would do an excellent job for smaller windows that could be found in dorm rooms or basement apartments where the windows are not as big as what you would typically have in a standard house. 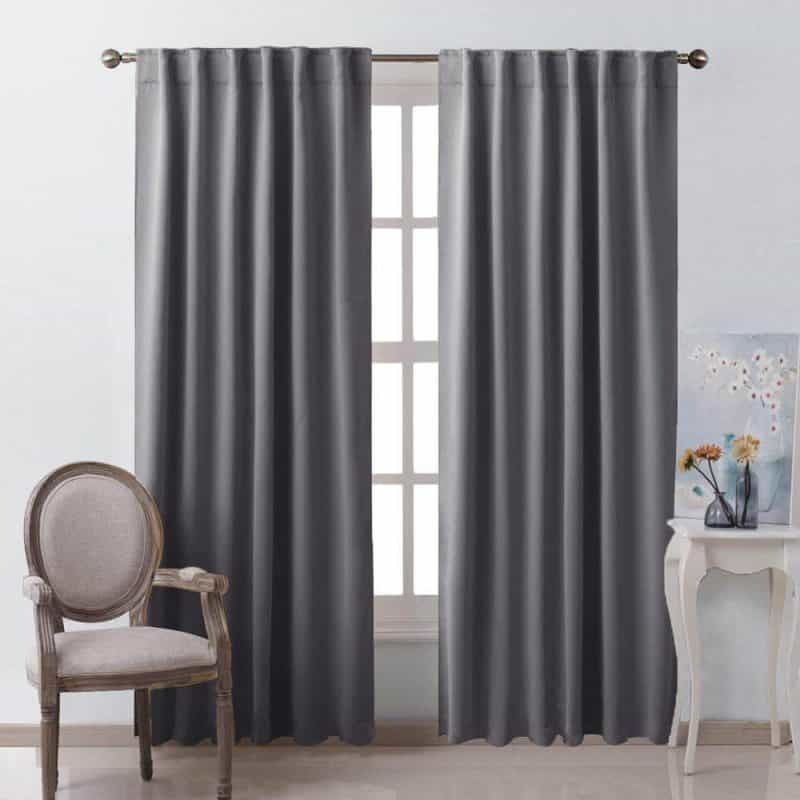 There are only a handful of reviews on these curtains, but the majority of the people who have purchased them are very satisfied with the light blocking and noise reduction features. If you’re fortunate enough only to need one panel then these would be a perfect solution for you and will also save you money down the road on your energy bills. They claim the block up to 99% of light, and that is accurate if you buy them in black. If you chose to go with a grey you will have approximately 80% light reduction, which is still suitable for a non-black color curtain. Some people would think that only buying a single panel is a negative, but if you do buy two panels separately and one of them would become damaged down the road, you would only need to buy one panel and not be forced to purchase an entire replacement set of drapes. So there’s another positive. I would certainly not hesitate in buying these curtains. Check the link for more information and pricing on the Warm Home Desing Thermal Blackout Curtains from Amazon. And finally, The Turquoize Full Blackout Soundproof Lined Curtains is the final set of curtains on our list, and that certainly does not mean they are the worst ones on the list because they are not. All ten sets of soundproof curtains on this list would be challenging to rate from one to ten because of their quality and effectiveness to block out unwanted noise. What makes these curtains a bit different is the blackout liner on the inside. So basically this means that they might not be the best curtains if you want them on a window facing the front of your house. If having a black lining is an issue then you can opt for the white curtains with a high shading white liner. These might not be as good for blocking the sun or regarding noise reduction, but they will still be an improvement over your standard drapes. The black liner, however, works great to block out noise and sunlight. No UV rays will be damaging your furniture or flooring with these Turquoize curtains up. The Turquoize Soundproof Lined Curtains are machine washable in cold water, gentle cycle, tumble dry, use iron on low heat to straighten and remove creases/wrinkles from packaging. They also come with a 5-year quality warranty and 30 days money back without risk return policy. So at least you can try them out for yourself and see if they work as good as you intended. Click the link for complete information and pricing on the Turquoize soundproof lined curtains from Amazon. 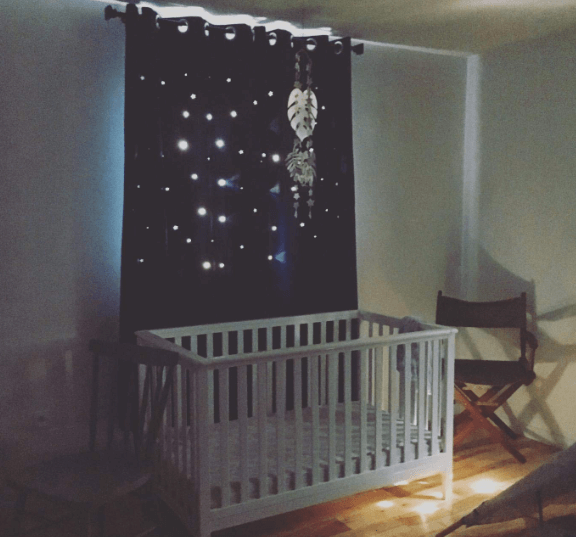 Our final verdict for the best soundproof curtains that you can buy today if as I mentioned above, the NICETOWN Full Shading Curtains. One thing to note however is that it really wasn’t hard to place the other nine noise reduction curtains on our top ten list. The hardest thing would be to rank them from one to ten and I will not even attempt to do that because they are all great noise reduction curtains in their own rights. Soundproofing curtains will not completely block out the noise coming from outside but it is an easy place to begin your soundproofing project. In conjunction with a thick set of blinds (shades) between the window or patio door and the curtains and you will be even that much closer to resolving your noise problems. Please let us know in the comment section below if you have any other suggestions that you might have at home that works well at soundproofing your window. Let us also know if you have had the chance to try any of the sound absorbing curtains on this list and what you think of their soundproofing capabilities. Thank you for checking us out and hope to see you again soon! Subscribe to our YouTube channel for some awesome weekly soundproofing tips videos.